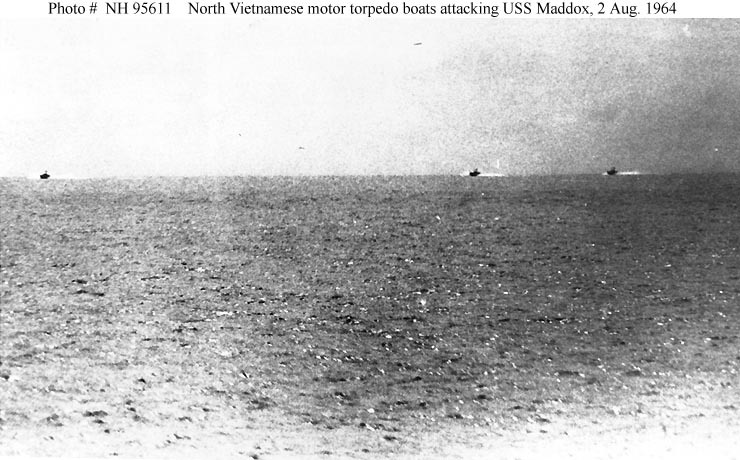 This photo purports to show three North Vietnamese torpedo boats attacking the U.S.S. Maddox--an attack historians now know never occurred. And to think there are still people who think the war is about chasing down Al-Qaeda or–even more preposterously–the cartoon strip bad guy known as Osama Bin Laden. President Karzai says the discovery of vast mineral wealth in Afghanistan is “good news for Afghans,” as if the profits would go to the people instead of Western multinationals. Knock it off, Karzai, you kidder you. My sides are aching! KABUL (AFP) – Afghanistan, one of the world’s poorest countries, is sitting on mineral and petroleum reserves worth an estimated one trillion dollars, President Hamid Karzai said Sunday. The war-ravaged nation could become one of the richest in the world if helped to tap its geological deposits, Karzai told reporters. “I have very good news for Afghans,” Karzai said. “The initial figures we have obtained show that our mineral deposits are worth a thousand billion dollars — not a thousand million dollars but a thousand billion,” he said. He based his assertion, he said, on a survey being carried out by the United States Geological Survey (USGS), due to be completed in “a couple of months”.